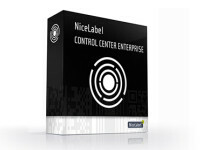 NiceLabel Control Center Pro is a centralized label management system for companies that require labeling traceability and visibility. Control all aspects of labeling including security, label design, print job logs, reprinting and monitoring. NiceLabel Control Center Pro allows you to comply with industry standards, control your labeling environment, and quickly respond to label change requests. Control Center Pro centrally stores all your label templates. Only authorized users can add, modify or delete label designs. New designs and changes are instantly deployed to all globally distributed printers. Use our professional label designer to make label changes quickly and easily, NiceLabel Designer Pro reduces design time from weeks to hours. It helps you easily implement customer-specific requirements and drive customer responsiveness. NiceLabel Automation Pro provides a centralized label printing environment that easily integrates with business critical systems, without customization. Centralize and automate label printing to increase efficiency, consistency and visibility while minimizing cost, maintenance and user support. NiceLabel Automation Pro supports an unlimited number of printers making it affordable for you to automate all of your printing infrastructure. NiceLabel PowerForms Web provides you with a centrally controlled means of rapidly deploying label printing to business partners such as suppliers, shops or even franchises. NiceLabel PowerForms Web s a Rich Internet Application (RIA) platform that delivers control of remote labeling while lowering the cost of implementation, management, and near eliminating roll-out costs.